From the award-winning designer of Citadels, Bruno Faidutti, comes a killer game of negotiation and fantastical proportions! Enter the dragon’s lair, where fame and fortune await you and your team of brave dragon slayers! A few magic weapons, some bravery and a bit of luck are all you need to slay the dragons and take your treasure home…if your opponents will let you! Killing a dragon is the easy part. Now you have to divide the loot! Will your “friends” give you your fair share (or maybe a bit extra)? You have only 60 seconds to find out! Dragon’s Gold–Sometimes, your toughest adversaries aren’t the dragons! 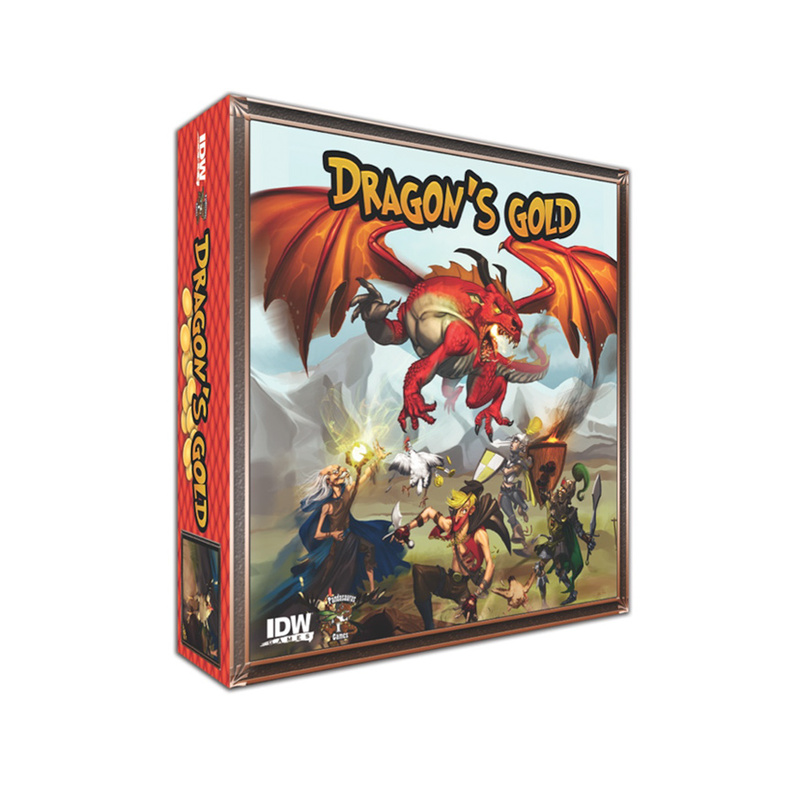 Dragon’s Gold is a fun, tensely packed game of hand management and negotiation for 3-6 players playable in less than an hour.